The Apple Watch is one of Apple's best inventions. It can do many things better than other Apple devices; it also does things that are truly unique. We've rounded up the best Apple Watch tips and tricks that can make your life easier. About two months ago, I purchased Apple's latest Apple Watch, the Series 4. I'm convinced it's one of the best products Apple has ever released. In the course of experimenting with the Apple Watch, I discovered lots of things the Apple Watch does better than other Apple products. I also found a bunch of tricks only the Apple Watch can pull off. I even asked readers to send in their favourite features, and dozens of you helped me delve even deeper into the Watch's capabilities. If you don't own an Apple Watch, just got one, or you've had a Watch for years and want to compare notes, these are the best Apple Watch tips and tricks I've found so far. Use the Apple Watch to unlock any Mac computer you own. I have two computers in my apartment: a Mac Mini, and a MacBook Pro. Both computers require passwords, but both of them instantly unlock if I approach them while wearing my Apple Watch. It is such a cool and futuristic feeling, to see your computer unlock instantly and to simultaneously feel a ping on your wrist to know it was the Watch. 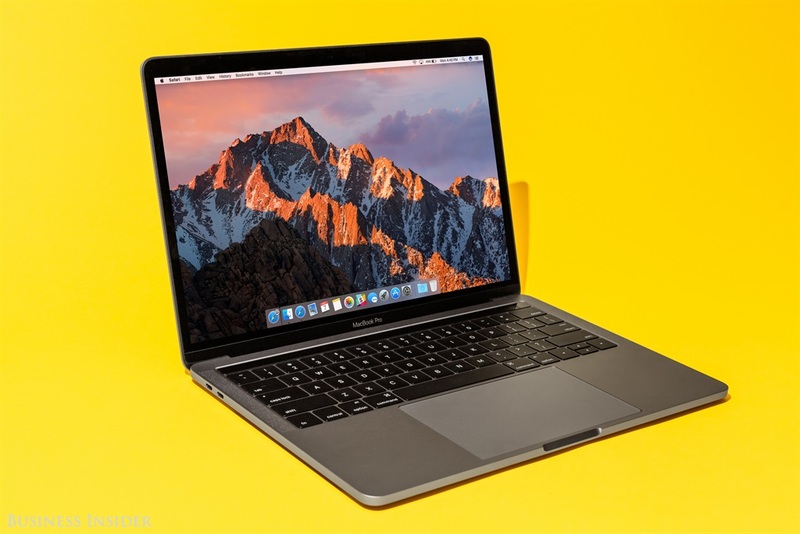 To activate this feature, visit the System Preferences app on your Mac, click Security & Privacy, then click "Allow your Apple Watch to unlock your Mac." 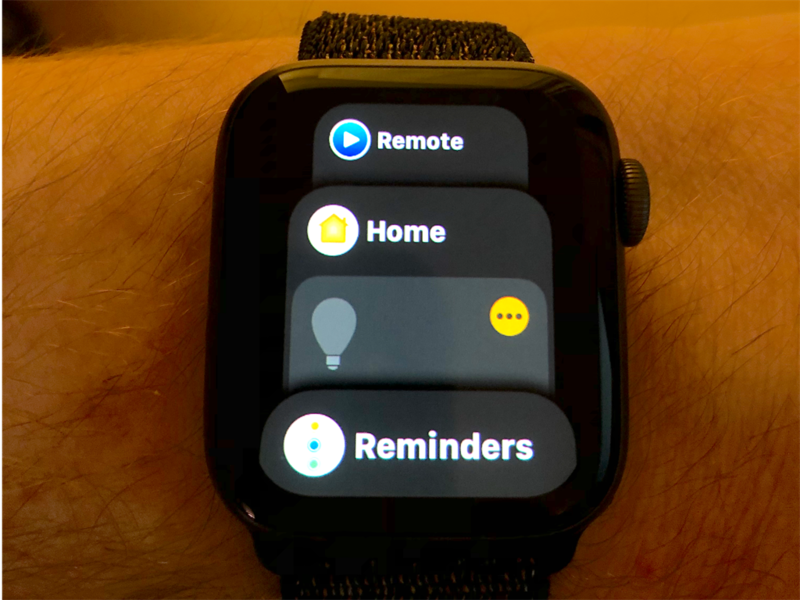 Use the Apple Watch as a remote control for the Apple TV — you'll never lose it! The Apple TV comes with a remote control, but like every remote control, it's slippery and easy to lose in your couch cushions. Meanwhile, owning an Apple Watch means you'll never lose your remote control, since it's literally attached to your wrist. It doesn't have Siri - of course, the only time Siri is useful, it's not available - but you can still use your Apple Watch to play, pause, scroll, and navigate menus. To activate this feature, just open the Remote app on your Watch - it looks like a blue play button. I keep the Remote app in my Dock, which you summon by pressing the side button on the Watch, for quick access. Use the Dock to create shortcuts for all the apps you use the most. Single-pressing the Watch's side button summons the Dock, which is basically an app drawer. You can choose if you want your Dock to show you recent apps, or a list of favourite apps. To customise the Dock, go into the Watch app on your iPhone, and click "Dock." There, you can choose if you want recents or favourites to be shown. I went with favourites, so I can manually arrange the order of the dock and which apps are highlighted. If you're feeling stressed or anxious, try the Breathe app. It's really good. I wrote about this at length, but the Apple Watch really does a better job of calming me down than anything else I've tried - including meditative and breathing exercises. For one minute (or longer, if you choose), the Apple Watch tells you to focus on the image on your wrist, and breathe in and out as the image expands and contracts. The Apple Watch also provides haptic feedback, mimicking the feeling of lungs expanding and deflating. This makes it even easier to focus on your breathing. Using the Breathe app for a couple of minutes each day is a great way to improve your focus and concentration, as well as your mental (and even physical) health. To use it, just open the teal app on your Watch that has a bunch of overlapping white circles on it. You can also make the Breathe app a watch-face complication, so you have direct access from your home screen. 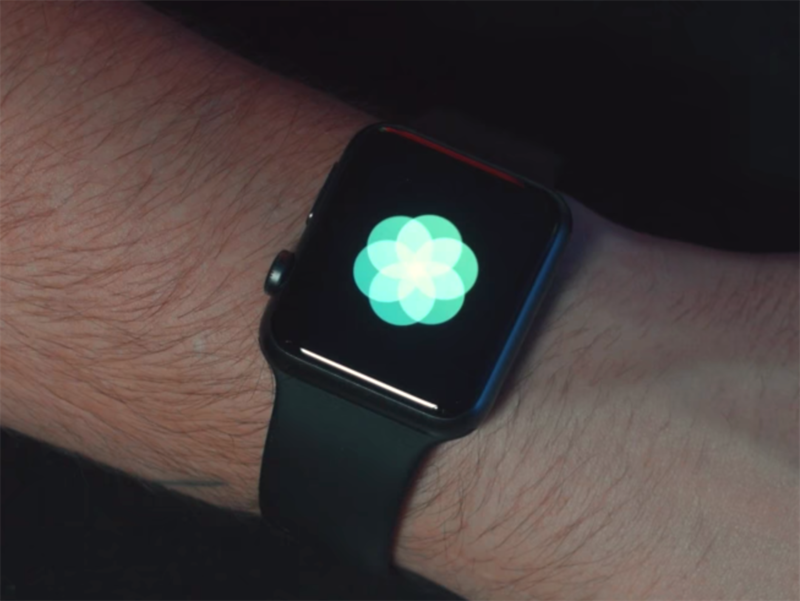 You can use the Watch to instantly find your iPhone. Confession time: I lose my phone inside my own apartment all the time. It's usually in a couch cushion, but sometimes it's in bed, or in my den space, or in my bathroom, or in my jacket. But I hate looking for it. The Apple Watch makes this so much better. Just swipe up from the bottom of the Watch and click the icon of a vibrating phone. Your phone will play a loud tone, wherever it is, but it only does it once. The best part: Unlike Apple's own Find My iPhone app, you won't get notifications every time you try and ping your phone from your Watch, so you can do it as often as you'd like. Your Apple Watch can take pictures for you. Your Apple Watch doesn't have a camera, but it can control the camera on your iPhone. 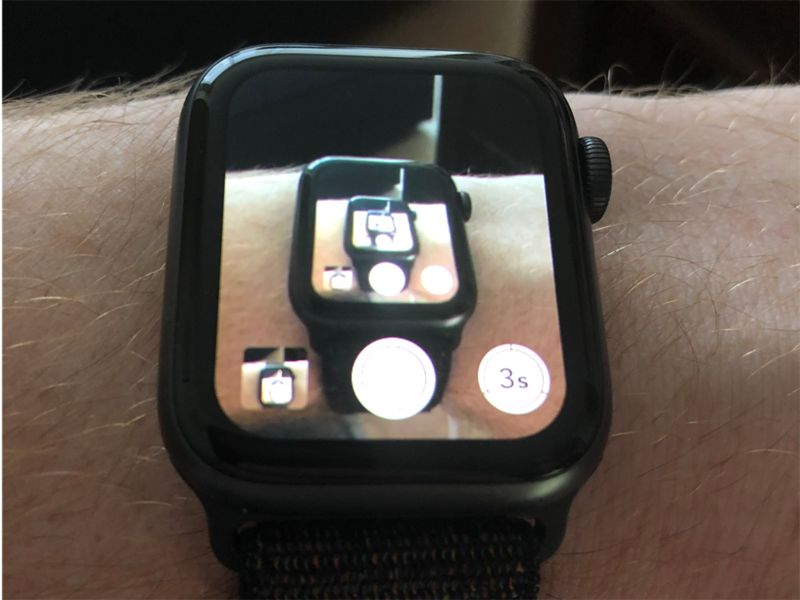 When you click the Remote Camera app on your Watch, you can see what your iPhone's camera sees. 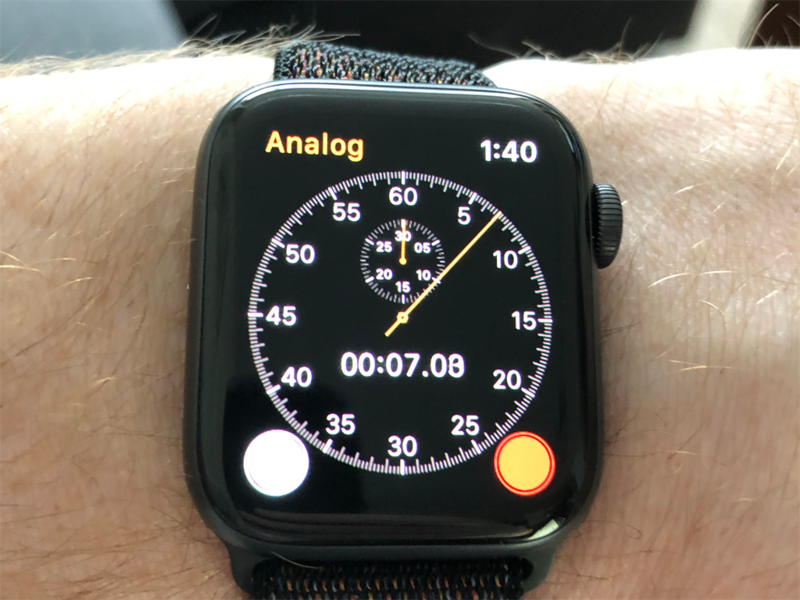 You can take a picture right away, or you can have a three-second delay in case you're in the shot, so you're not snapped while you're gawking at your Apple Watch. Checking the weather is much faster with an Apple Watch. 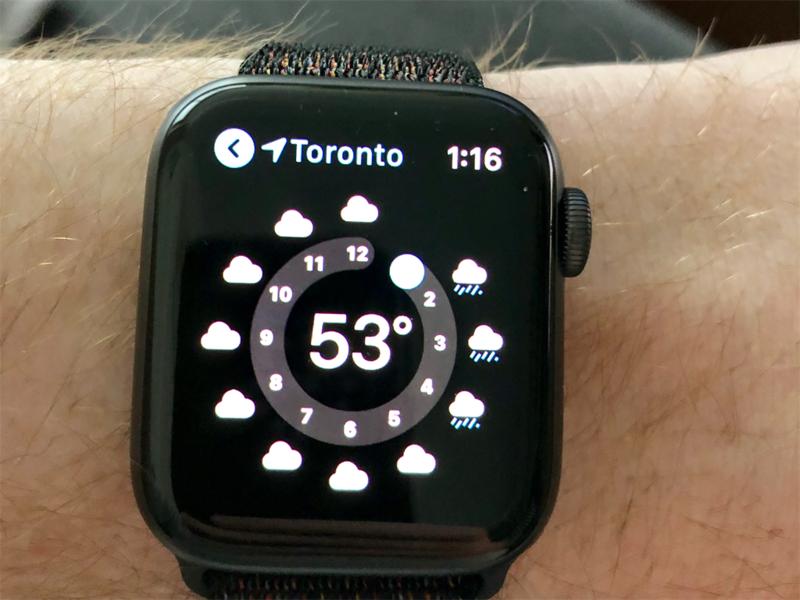 You can put weather apps like Dark Sky or Apple's default Weather app right on your watch face, which means you can get the weather just by lifting your wrist. It's much faster than asking a virtual assistant, or finding your phone to check your weather apps. You can answer or silence calls without needing to find your phone. When I'm at home, and I get a call, it's often a mad dash to find my phone and pick it up before it goes to voicemail. With the Apple Watch, I no longer have this problem. I can answer the call right from my wrist, or send it to voicemail with a double click. This feature is particularly useful if your phone goes off at an inopportune time, like during a meeting. The Apple Watch can control your iPhone's music, even if it's playing out of your car or headphones. If your iPhone is connected to a Bluetooth speaker, or a pair of headphones, or a car, you can control that music from your Apple Watch. 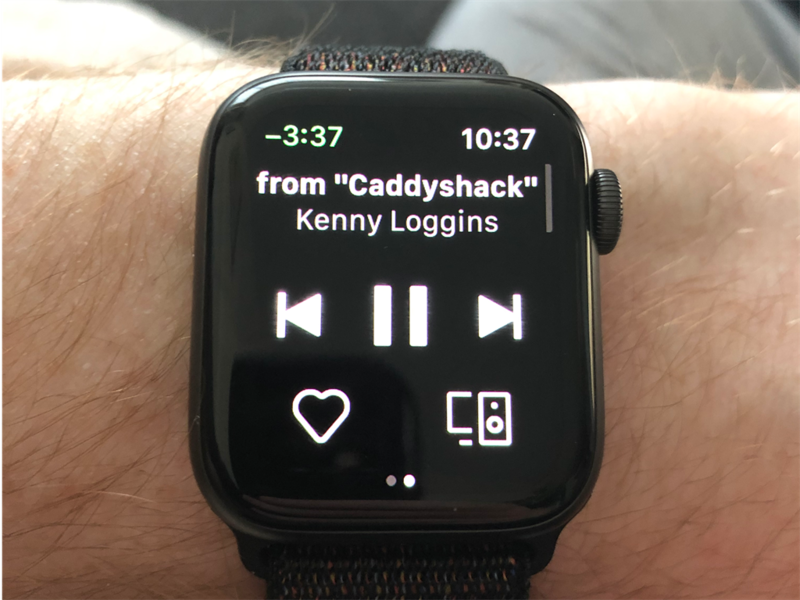 Music controls will automatically pop up on your wrist if Apple Music or Spotify are playing on your iPhone. If your Watch is tracking an exercise, swiping to the right brings up your music. If your music isn't showing up for you, go back to your home screen and see if there's a red music icon at the top center of the screen. Clicking that will take you to the "Now Playing" screen, where you can control playback and volume. 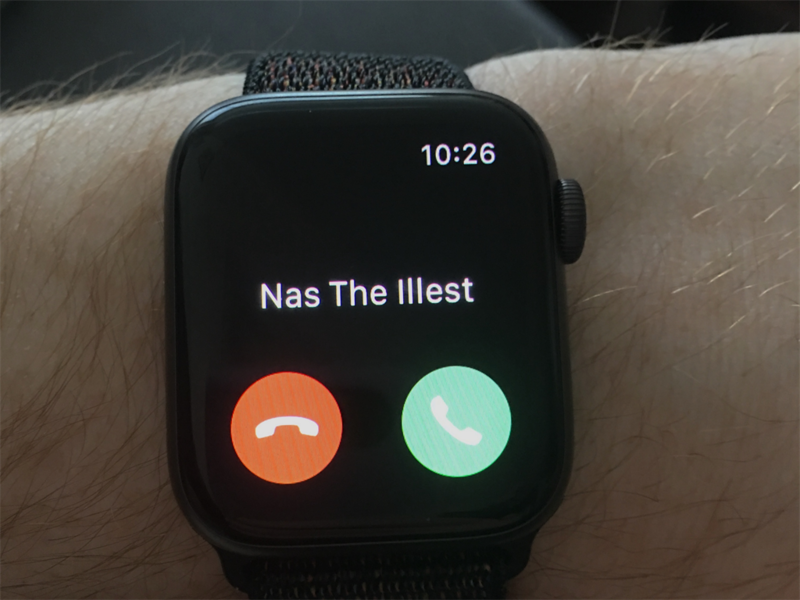 If you own an Apple Watch Series 4, you can make people in your contacts list into complications, so you can text or call them quickly. 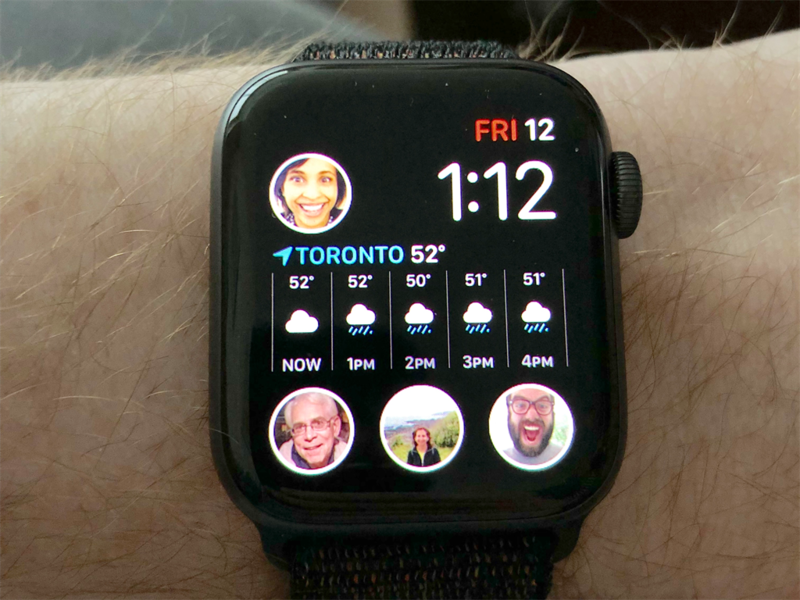 This feature is exclusive to the Apple Watch Series 4: You can make your contacts into complications that you see whenever you raise your wrist. I created a complication for my wife - pressing her face lets me text or call her right away. I made a whole separate watch face that only has complications for family members, so I can easily call or text my them with a couple of taps. You can change your watch's complications by pushing into the watch face and tapping on the portions you want to change, but changing all of this is much easier to do from the Watch app on your iPhone. 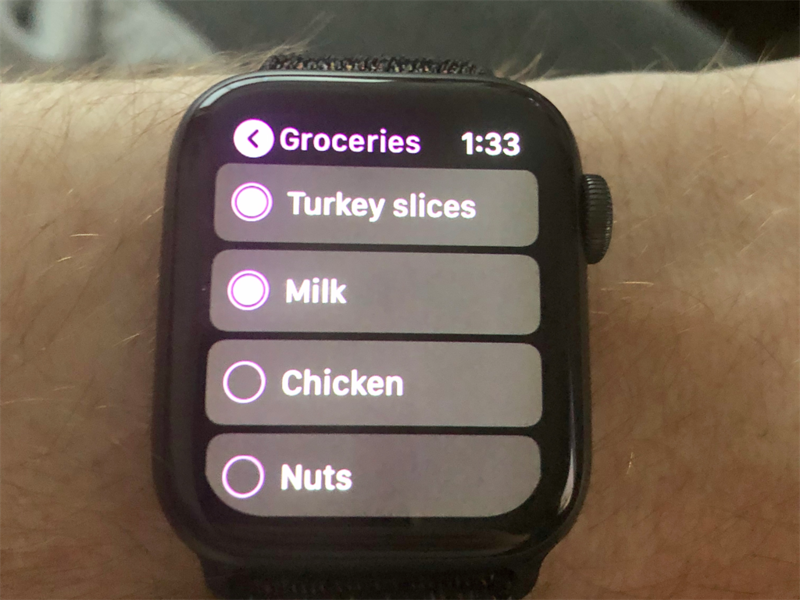 You can use the Apple Watch to view your grocery items and cross them off. When I go to the store, I am constantly taking out my phone out to view my grocery list, or cross off items. Doing this with the Watch is much better. I just lift my wrist to view the list. 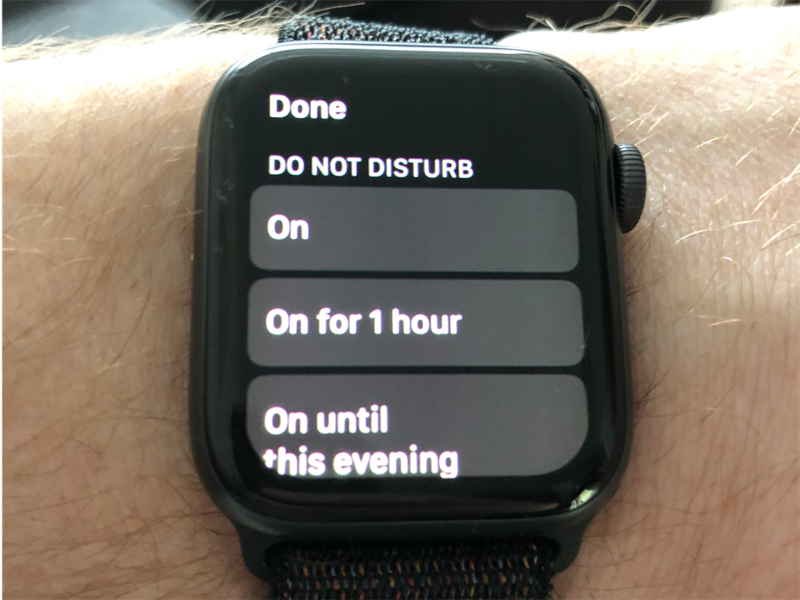 Do Not Disturb is super useful on the Apple Watch. 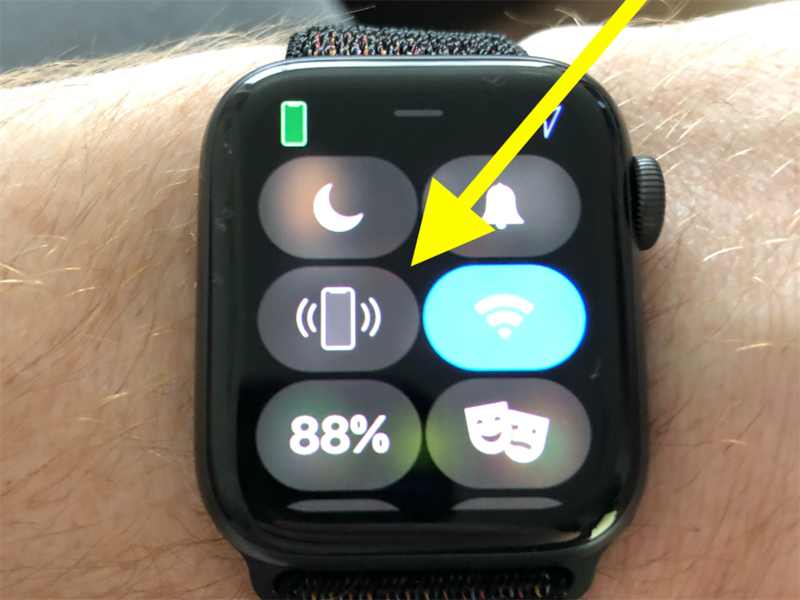 If you swipe up from the bottom of your Apple Watch and click on the moon symbol, you'll activate Do Not Disturb, which silences all notifications that come into you Apple Watch, but also your iPhone. Do Not Disturb is nice for when you go to the movies, because silencing your devices is only a single action. There's no need to turn off or mute each device thanks to Do Not Disturb on the Watch. You can choose to have Do Not Disturb "on," "on for one hour," "on until this evening," or "on until I leave this location." That last option is particularly useful if you want to silence your devices in a movie theater, or while at work; everything reverts to normal once you leave those buildings. 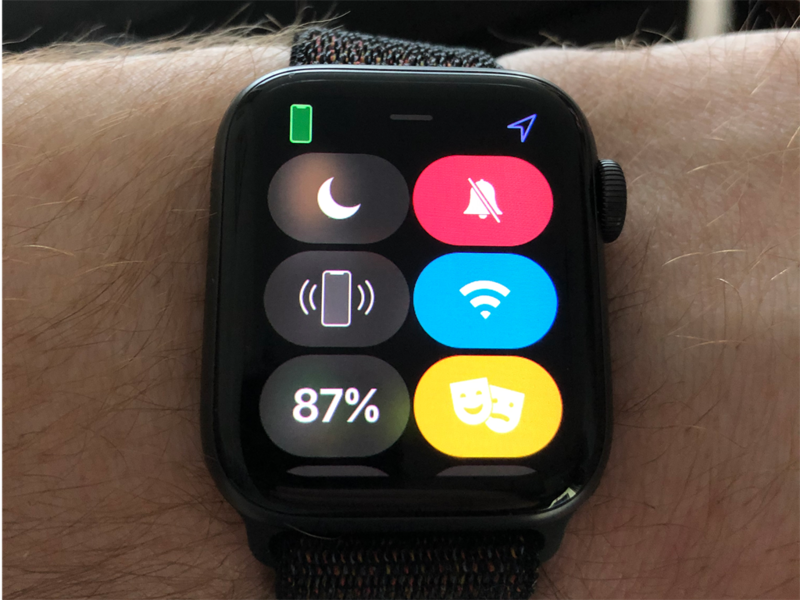 Theatre Mode keeps your Apple Watch from glowing in a dark room. If you're watching a movie, or it's late at night and you don't want your Apple Watch to blind everyone, Theatre Mode is perfect. Just swipe up from the bottom of the Watch and touch the drama/comedy symbol to activate it. Theatre Mode makes it so your Watch won't turn on unless you tap it. It also silences your Watch from ringing. One nice feature, as recommended by a Business Insider reader: "If you want to view the time but you don't want the screen to come on full brightness, turn the digital crown very slightly, and it will raise the brightness on the screen slightly as well." Your Apple Watch can "approve" apps that need to verify your identity. At Business Insider, an app called Okta verifies my identity before I use secure apps like email. I'll log into a website normally, but need to approve a notification sent to my phone in order to access it. 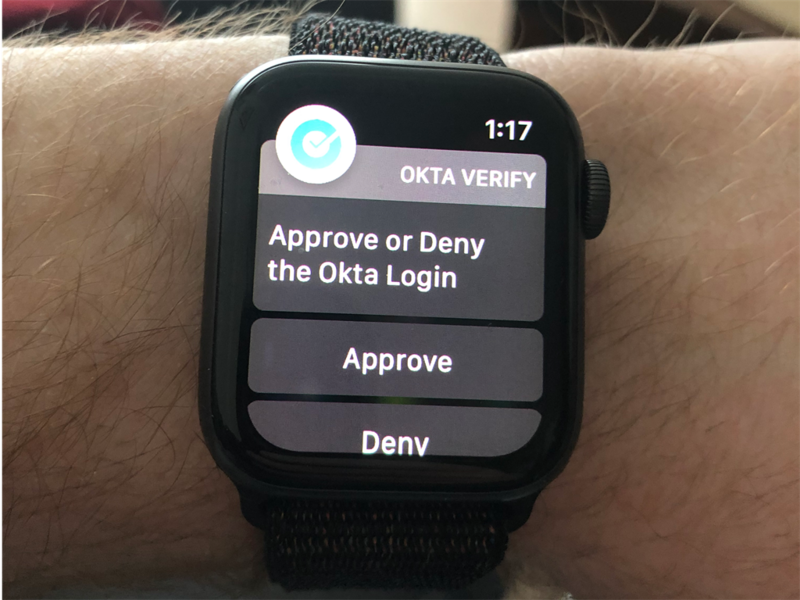 With an Apple Watch, these Okta notifications show up right on my wrist. I can approve the app immediately without any extra steps. The Apple Watch can show you lots of details about your heart, but you can get more information from the Health app on your iPhone. When you access the Heart Rate app on your Apple Watch, scrolling down shows your current heart rate, average heart rates for resting and walking, and your heart rate for any exercises you track. There's even more heart data on your iPhone. Visit the Health app, click the Health Data tab at the bottom, and click Heart. 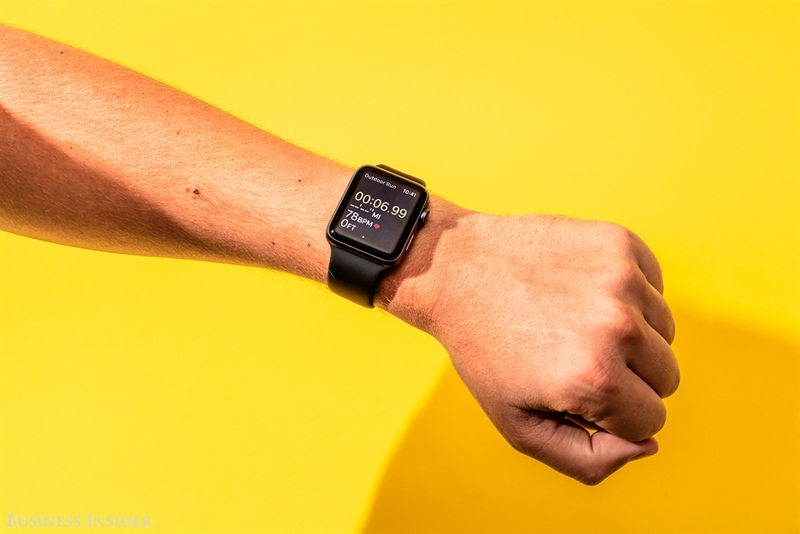 You can see more data from your Watch and other third-party apps that track your health and fitness, and learn more about your heart, like viewing your heart-rate variability. Your Apple Watch can be your alarm clock. Clicking the Alarm app on your Apple Watch lets you create alarms. They can be one time only, or recurring daily, on weekdays, or more. 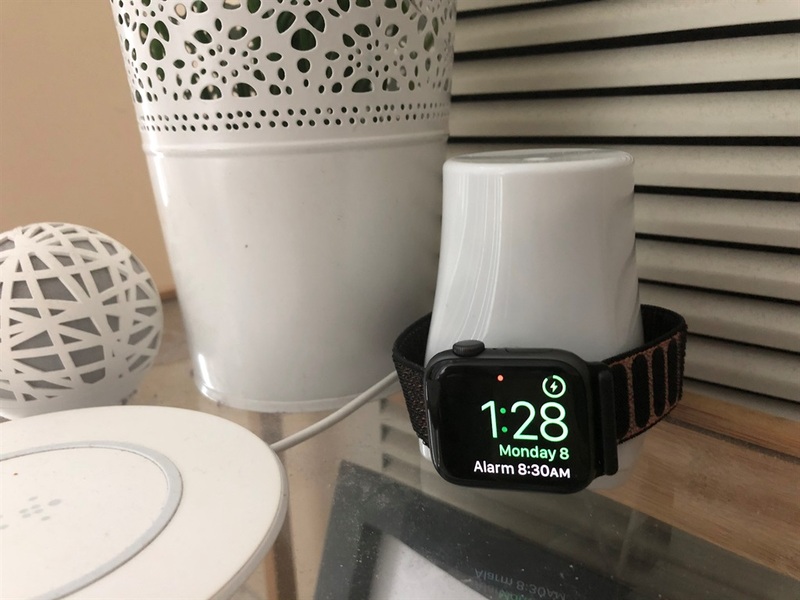 The Apple Watch's alarms are much gentler than the iPhone's alarms, and it also buzzes, in case you sleep with your Watch on. This may shock you, but the Apple Watch is pretty dang good at being a stopwatch. There's a built-in stopwatch app on the Apple Watch. It's orange, like the other clock-related apps on the Watch. Pressing the green button starts the stopwatch, and the red button stops it. Pressing the white button creates a "lap" on the stopwatch. This is useful for anyone who needs to time anything - I recently had dental surgery and it was very useful to track my 30-second rinsing sessions from my wrist. The Apple Watch can be your navigator, or co-pilot, if you're driving or going somewhere. 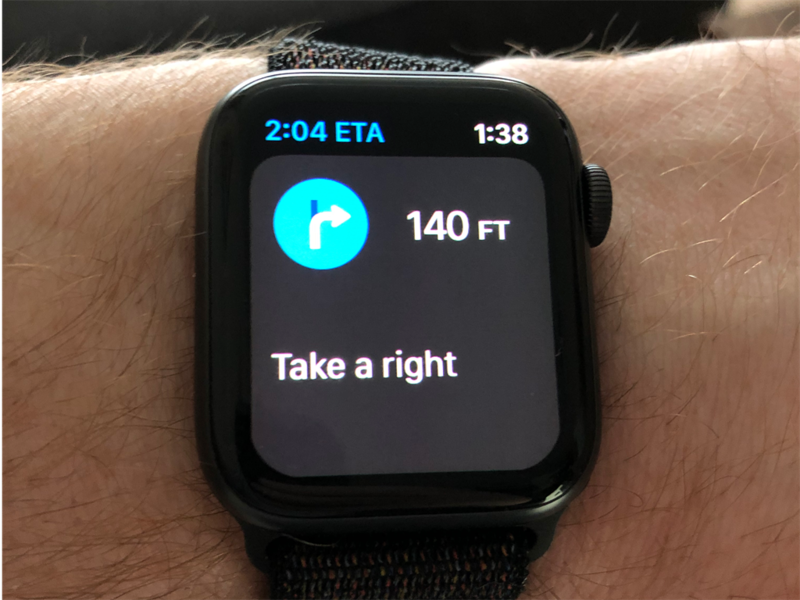 If you use Apple Maps for navigation - for walking, or biking, or driving - your Apple Watch can tell you when to turn. Imagine driving down the road, and feeling a vibration from your wrist. That means a turn is coming up. A quick glance at your watch shows the direction you need to turn, and the distance you have before the turn. The Apple Watch puts the convenience of GPS on your wrist. If you don't have a mounted solution for your car, this is way better than continually picking up your phone to get directions. 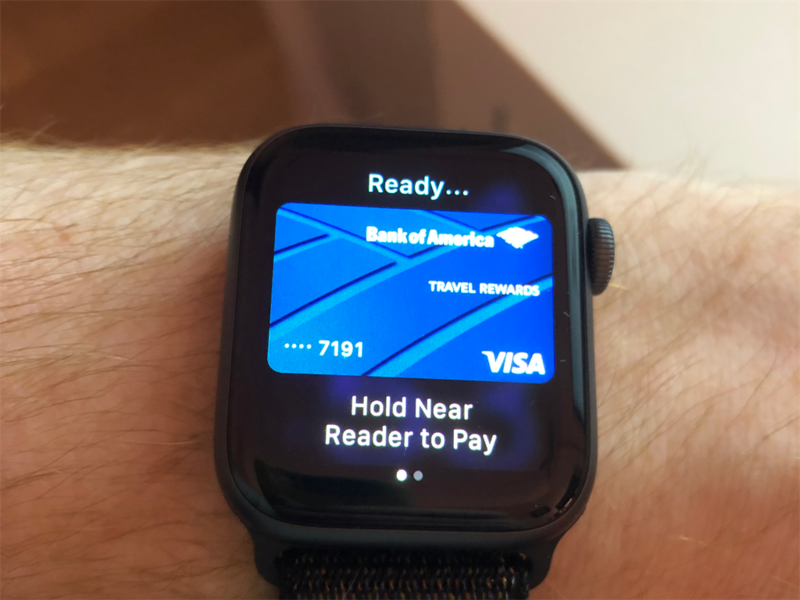 Paying for goods with your Apple Watch is easy, fast, and futuristic. Double-clicking the side button summons Apple Pay, where you can choose your go-to credit or debit card to pay for goods with a simple tap. Paying for goods with your wrist is, by far, the easiest way to pay. You don't need to get your wallet out, you don't need to sign for anything, and you don't even need to fetch your phone. It's faster than any of those methods, and it's more secure, too. Your Apple Watch can control your smart-home lights. 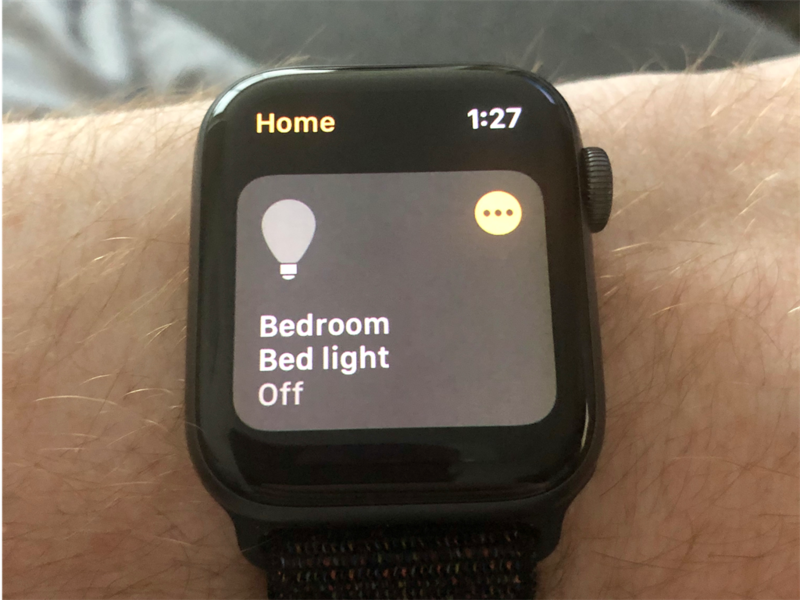 If you connect any smart-lights you have to Apple's Home app, like Philips Hue, you can control the entire system from your wrist. The Home app looks like an orange house on a white background. But it's much easier to access using the Dock, which you'll get with a single press of the side button. From there, tap Home, and you can see the names of the lights you've created to turn them on or off. The Beverly Hills estate that Jennifer Aniston and Brad Pitt spent 3 years renovating before their divorce is for sale for R779 million. Here's a look inside the 4-bedroom home.